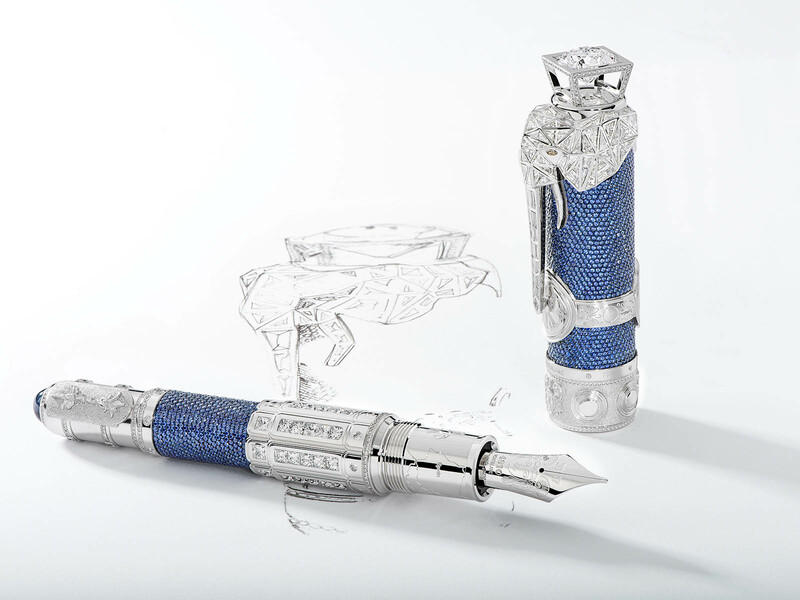 Montblanc, one of the dignified names of the luxury writing instruments industry, crowned its experience with a unique piece. The new model, which is inspired by the legendary commander Hannibal Barca, is truly a piece of art. Montblanc, who is one of the indispensable brands of our pages with the investments they made in the watch business in recent years and the spectacular timepiece, was the guest of our news corner with its latest pen designed in tribute to Hannibal Barca, one the most important commanders of history. The model in the brand's High Artistry product line once again demonstrates Montblanc's more than a hundred years old experience, its force that pushes the boundaries and its superior craftsmanship. It is possible to see the traces of all the sections of the mark in the writing instruments production facilities in Hamburg - Germany on the new model which features jaw breaking details. 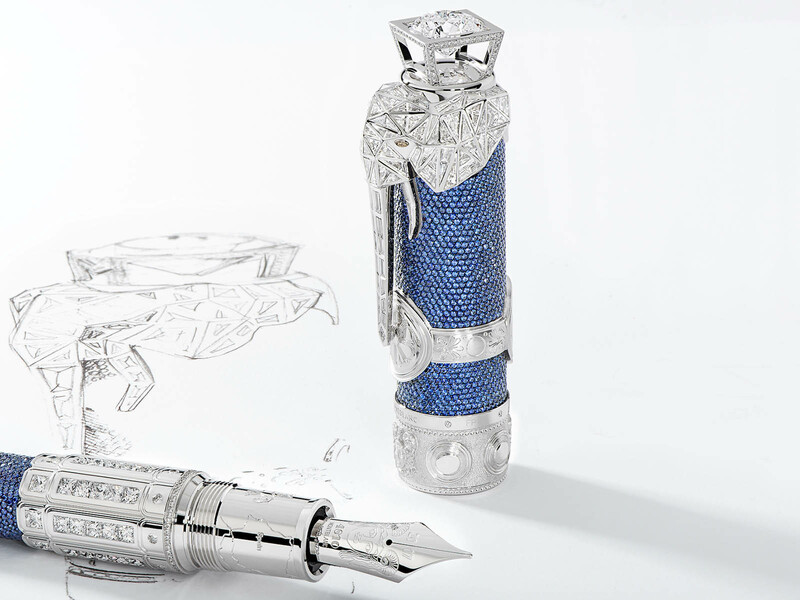 The model’s nib is made of 18K gold and two brilliant cut diamonds are placed on it. The model, which has a pump type ink filling system, employs a single piece of diamond with a full 6.03 carat size on the top of the clip. Inspired by the famous commander Hannibal Barca, the pen sports an engraved map of the legendry commander’s route during the Second Punic War. The cap and the barrel are also designed in tribute to soldiers’ armors. The great combination of 18K white gold and diamonds are accompanied with a dazzling contrast provided by the blue sapphire sets on the cap and barrel. The part of the clip, designed in the form of an elephant figure, is entirely embellished with diamond stones. The dimensions of the stones located in the clip and the layout are designed considering that the clip is a part that can stretch during use.